Just a few examples of the Outreach initiatives with which InnovaSpace has been involved and will continue to take part and instigate, as we seek to broaden the access to and participation of the general public in science-based activities. 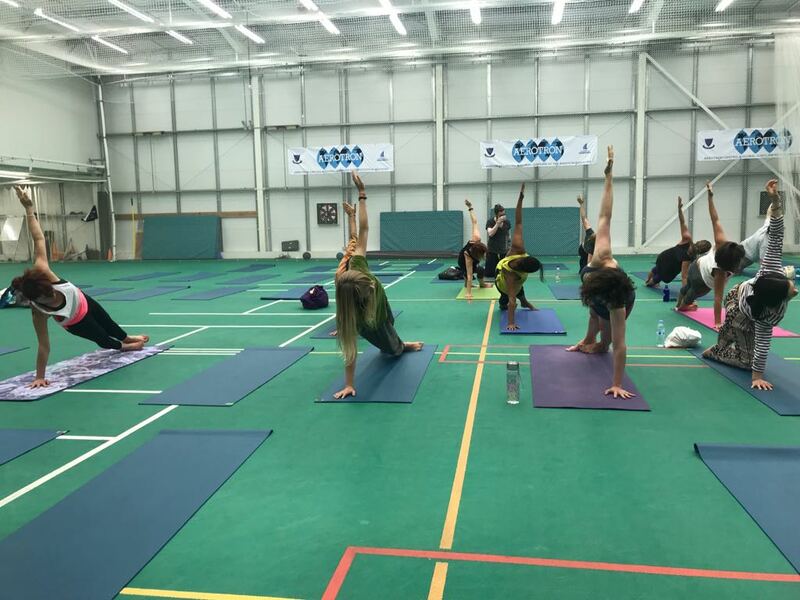 Combining Space with Yoga might not seem the most obvious combination, however, yoga therapy has been contemplated and researched as a possible complementary activity that could benefit astronaut health and emotional wellbeing. Space Yoga is an initiative of Guerilla Science, in which InnovaSpace contributed with descriptions of the effects that microgravity has on the body and mind, as members of the public went on a cosmic yoga trip, assuming different yoga body postures as they contemplated how living in space would affect their bones and muscles. The subject of Space and Space Travel is something that has inspired many different forms of artistic expression, through music, TV shows, films and books, among others. It has the power to reach large audiences and provoke thought about humans living beyond our world. InnovaSpace is keen to support such initiatives, and was very pleased to take part in a virtual meeting with the Flux Phase Theatre Group to discuss the effects that microgravity has on the human body and mind during a space mission, to assist with the production of their play Twin Paradox, based on Einstein's Theory of Special Relativity. Any activity that inspires the general public to contemplate space and the celestial bodies that make up our very own Milky Way is an excellent initiative. InnovaSpace was pleased to interact with Guerilla Science in the Intergalactic Travel Bureau project, by providing inputs on how the body and mind react to extraterrestrial environments, as will be faced by future Space Tourists during their space adventures.